Think of the fun the class will have learning the alphabet and numbers with the friendly lady bugs of the forest. 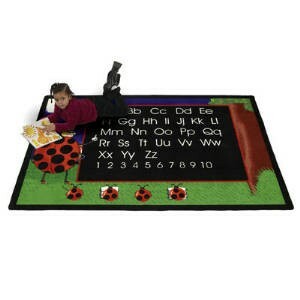 The Lady Bug rug also brings back an old concept to inspire a new generation of kids: the black board. Class starts every morning under the great oak tree.